Luck of the Irish! 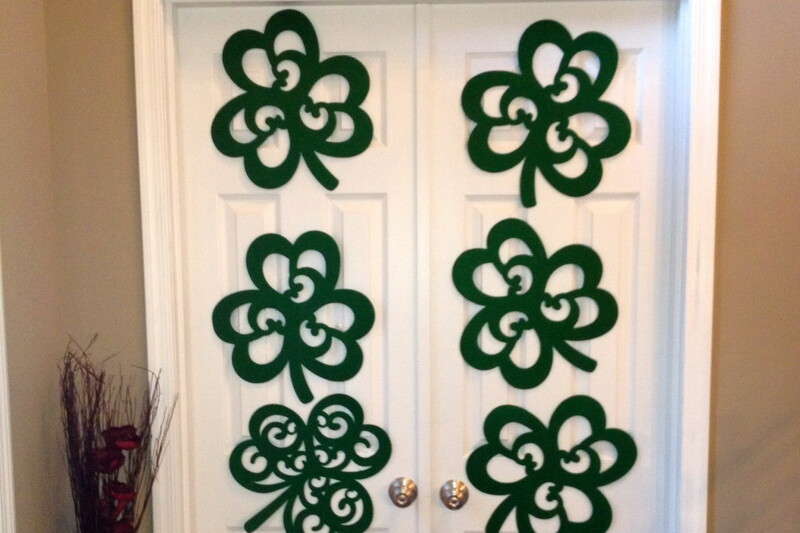 Who wouldn’t want to celebrate a birthday with an Irish Family. We all know the Irish know how to have a good time and planning this event was just that. My friend Courtney approached me about her mother-in-law’s upcoming 70th birthday party. She wanted to make it extra special and surprise her with all her closest friends and family. That we did. 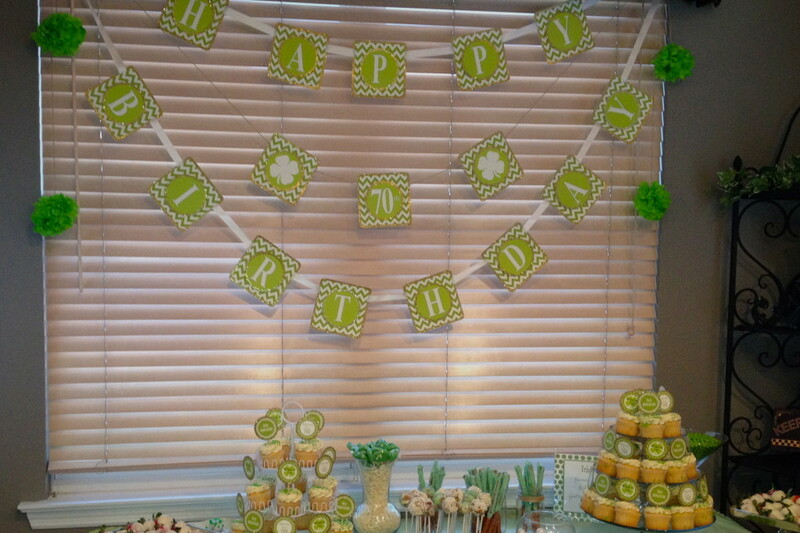 This was a fun event to plan with all Irish touches throughout her home. 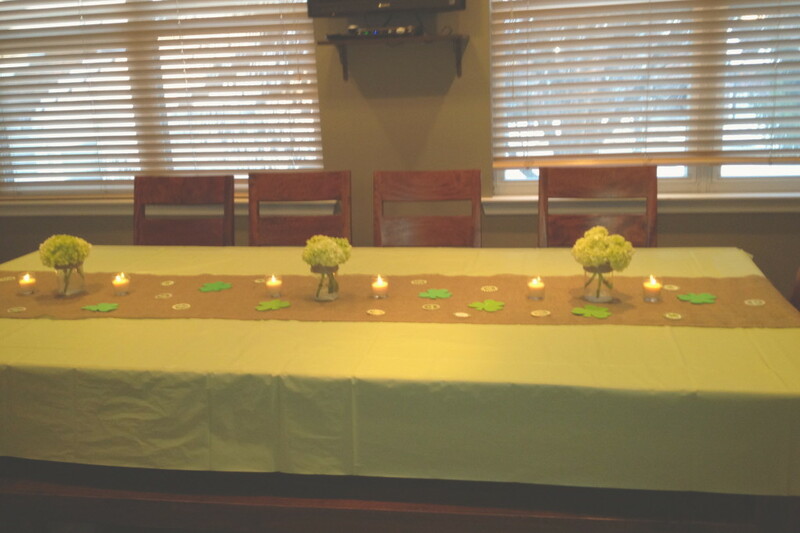 I started out by creating decor that matched our theme which included colors such as green, cream, burlap, and gold. I partnered with Paper Frosting to put our wonderful ideas on paper. The setup of this event was a lot of fun. 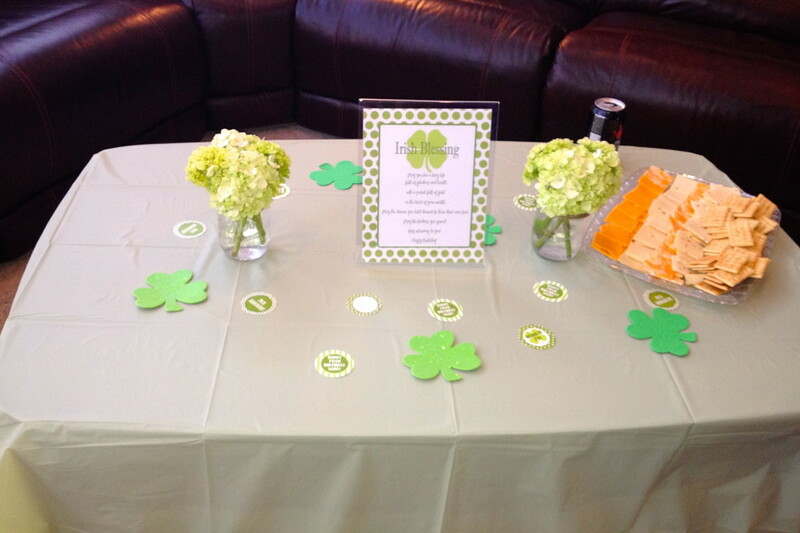 We created a space that was Irish upon entering and welcoming to their guests. 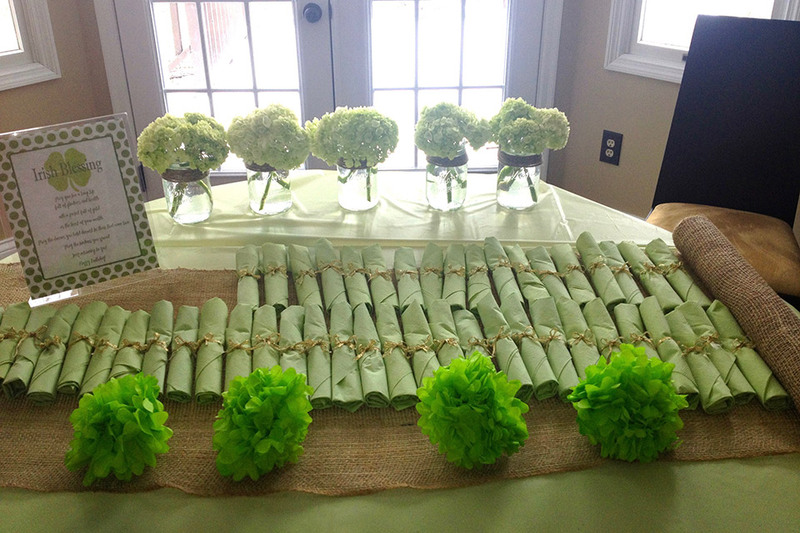 All the tables for dinner were covered with a pretty green color and burlap runner. We used mason jars wrapped in twine, filled with beautiful light green mini hydrangeas as centerpieces. 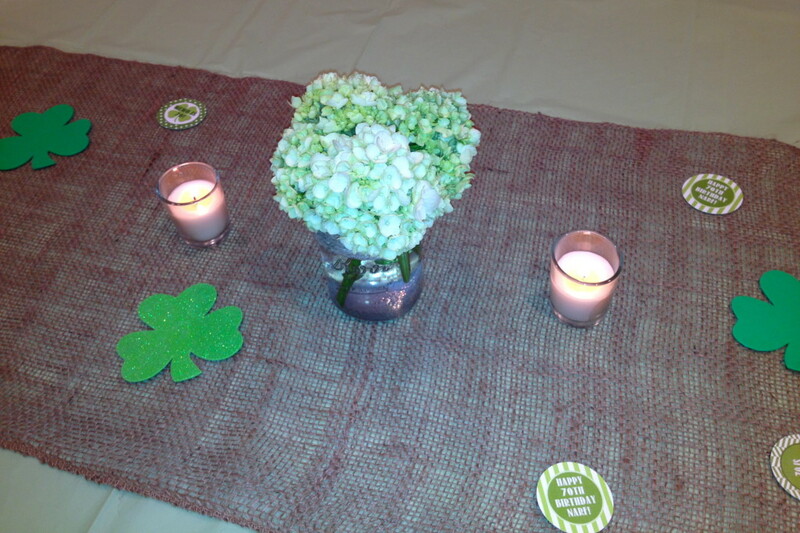 Additional decor included small shamrocks spread throughout the tables and words of meaning to Fran, the guest of honor. 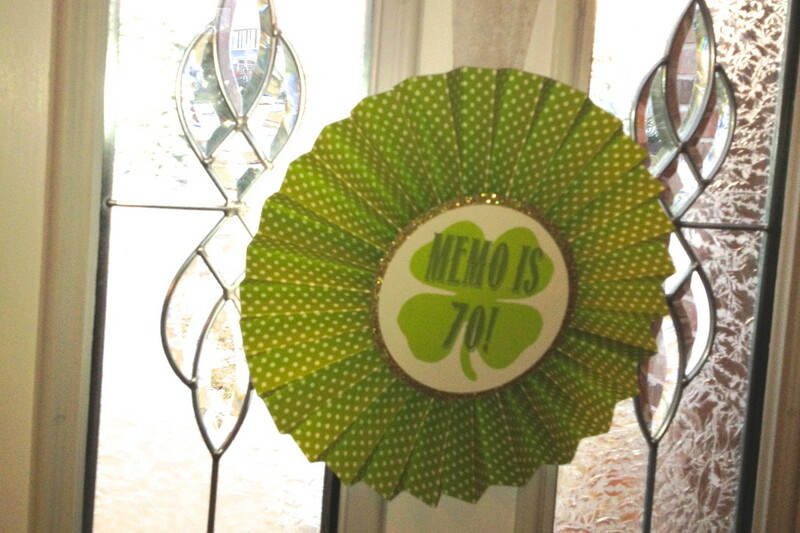 We cut up extra cupcake toppers and used those same phrases as decor throughout since the names on them meant something to Fran. Made for extra touches throughout. 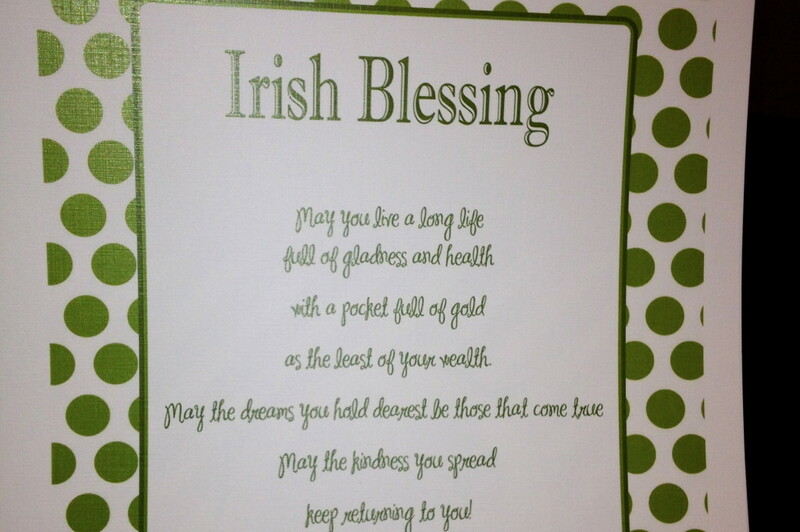 Each table included a different Irish Blessing for the Birthday Girl. The guests will all served by a bartender in the family. 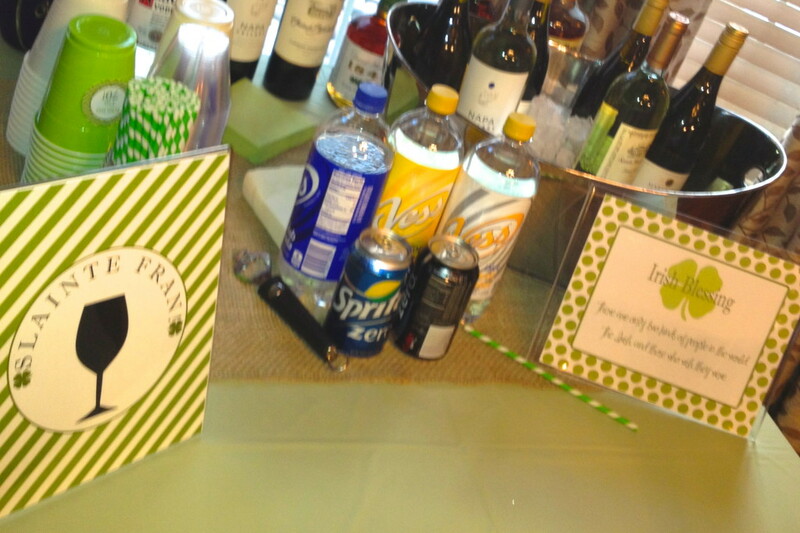 We created a setup with Irish Blessings and of course a sign that said SLAINTE FRAN. Cheers in Irish for the guest of honor. 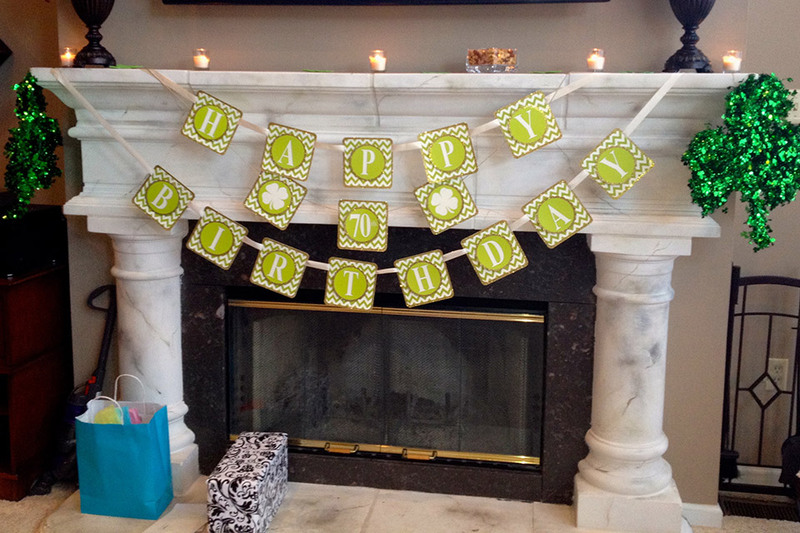 As you moved into the family room we had green & white pom poms hanging throughout and Happy 70th Birthday Banner from the fireplace. Now let’s get to the best part, the dessert table. 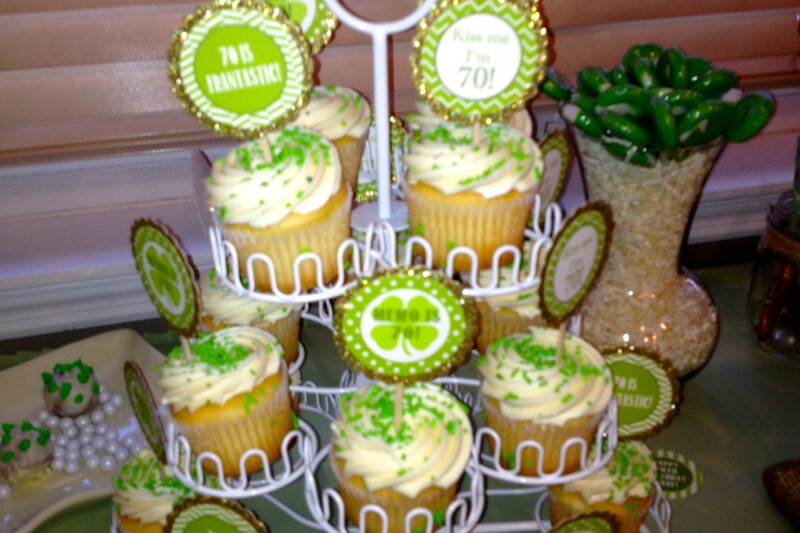 This included a variety of sweet treats including cupcakes with toppers made special for Fran. All the cupcake toppers phrases had meaning to the birthday girl so it made it extra special. There was a big Happy 70th Birthday Banner hanging above it all that tied it all together. Now it wouldn’t be a CC event without wanting to capture moments throughout the night. So we created a Photo Booth section against a door for all the guests to snap some fun pictures. 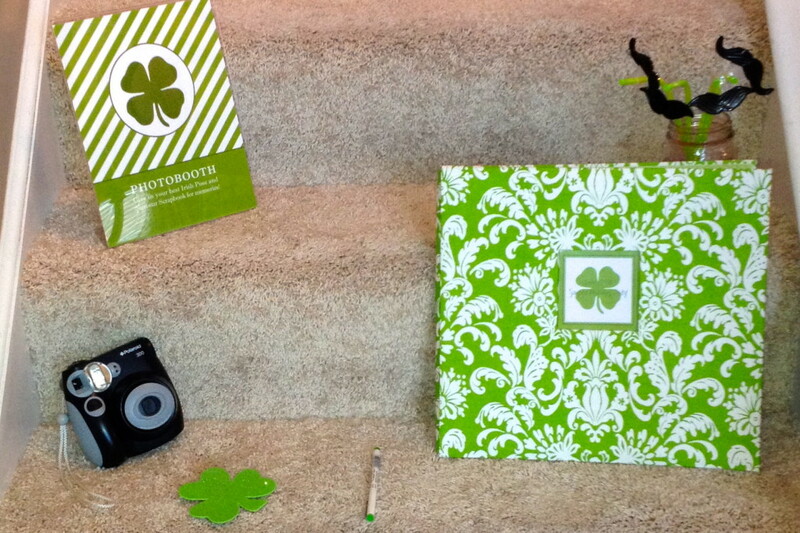 Of course the backdrop was in Shamrocks for some Irish fun. The Guest of Honor was completely surprised by all her closest friends and family. The Irish Celebration was a complete success. A darling Irish Family & Event that I was happy to be apart of.